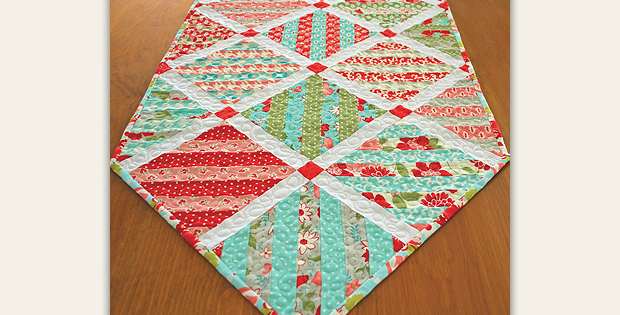 Play with Color and Fabric Styles to Make it Yours! 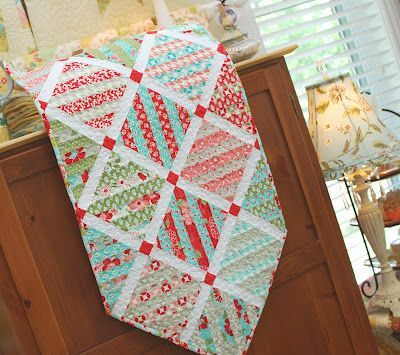 Start with a pack of 10″ layer cakes squares for this charming table runner. Choose a complementary color for the sashing and pops of an accent color for cornerstones. Your favorite prints will be wonderful in this easy design. Or go with colors and fabrics for any season. In fact, you may want to make more than one to switch out during the year. This is an easy project that finishes quickly. You’ll have the runner on your table before you know it. The finished runner is 20 1/2″ x 48″. 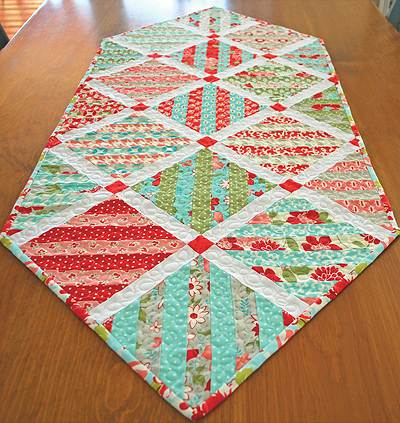 Click here to purchase the “Slice of Cake Table Runner” pattern.